MÉRIDA, Venezuela – Self-proclaimed “interim president” Juan Guaidó named a number of “diplomatic representatives” to those countries which have recognised him during the past week. 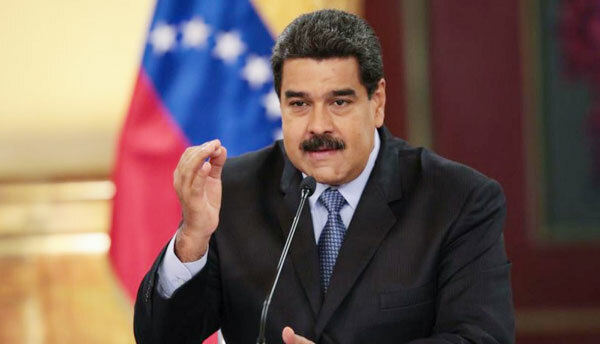 The government of Nicolás Maduro, the actual president of Venezuela, along with its international allies are responding to new US oil sanctions and preparing for possible military intervention. Guaidó designated fellow high-profile opposition members Julio Borges and Carlos Vecchio as representatives before the Lima Group and Washington respectively. Both have been associated with violent attempts against the Maduro government in recent years, with Borges implicated by authorities in the August drone terrorist attack and Vecchio having fled charges including arson and instigation of violence in 2014. Elisa Trotta was stationed in Argentina, Orlando Viera in Canada, Humberto Berti in Colombia, and Rene de Sola in Ecuador. Despite the naming of “diplomatic representatives” by the National Assembly president, the international skirmishes surrounding Guaidó’s recognition as Venezuela’s head of state have continued. New Zealand announced its refusal to go along with Australia and other western countries in recognising Guaidó and reaffirmed its backing of President Maduro. Meanwhile, despite repeated appeals by the Venezuelan opposition, Pope Francis likewise refused to recognise the opposition leader, warning of his fears of “bloodshed.” The Vatican was represented at Maduro’s January 10 inauguration and continues to have diplomatic relations with his government. Reports also suggest that the European Union has failed to achieve a consensus to back Guaidó, despite the key members of the UK, Germany, and France all doing so. Uruguayan President Tabaré Vázquez revealed that EU Foreign Affairs High Representative Federica Mogherini called him to discuss the possibility of Uruguay hosting an international dialogue summit to resolve the political crisis. Meanwhile, the pressure is growing on Guaidó inside Venezuela, with the country’s Supreme Court issuing a travel restriction on the National Assembly Deputy following a request from Attorney General Tarek William Saab, as well as ordering the freezing of his local bank accounts whilst an investigation continues into his recent actions. On January 25, the Associated Press reported that as part of the preparations for his attempted seizure of power, Guaidó secretly travelled to Washington, Colombia, and Brazil in mid-December. The measures generated a vociferous response from the Trump administration Tuesday, who threatened “serious consequences” should either Guaidó or any of their diplomatic staff be arrested. Both Venezuelan and foreign authorities reacted angrily to the new sanctions announced by Washington Monday, which amount to an effective embargo on Venezuelan oil. Venezuela’s Oil Minister and President of PDVSA Manuel Quevedo promised to take to international courts to overturn the sanctions. “We are evaluating all options ... we aren’t going to allow them to take our oil and steal our resources,” he explained. Washington “must be paying the devil in oil,” he added. “Historical experience has proved that external interference or sanctions will only complicate the situation and will not help solve practical problems ... with sanctions leading to a deterioration of the people’s livelihoods in Venezuela, and [those who imposed them] should be responsible for the serious consequences,” he went on to state. To accompany the international diplomatic and economic pressure being exerted by US authorities on the Venezuelan government, rumours of a military intervention are also capturing headlines. President Donald Trump has previously commented that “all options are on the table” when asked about such a possibility and is also reported to have discussed the possibility of “invading” Venezuela last year. His National Security Advisor John Bolton was photographed at a press conference last week holding a notepad with the words “5,000 troops to Colombia” written on it, increasing concerns that the Trump administration may be planning more direct military action against Venezuela. Reinforcing such concerns, the US Military High Command is due to visit Colombia this week, where they plan to discuss the Venezuelan border. The United States possesses seven military bases in Colombia, including three a short distance from its eastern border with Venezuela. In a recent press conference, Peru’s Foreign Minister Nestor Popolizio, speaking on behalf of the regional right-wing Lima Group which is backing Guaidó, explained that the countries which make up the bloc will not support military action against Caracas. “As the Lima Group, we have said that we do not support any military intervention in Venezuela,” he said. “Regarding military intervention in third countries, we have said already that such imprudent action would have extremely negative consequences,” he said. Peskov promised to “activate all possible international mechanisms” to defend Venezuela’s right to self-determination and sovereignty.